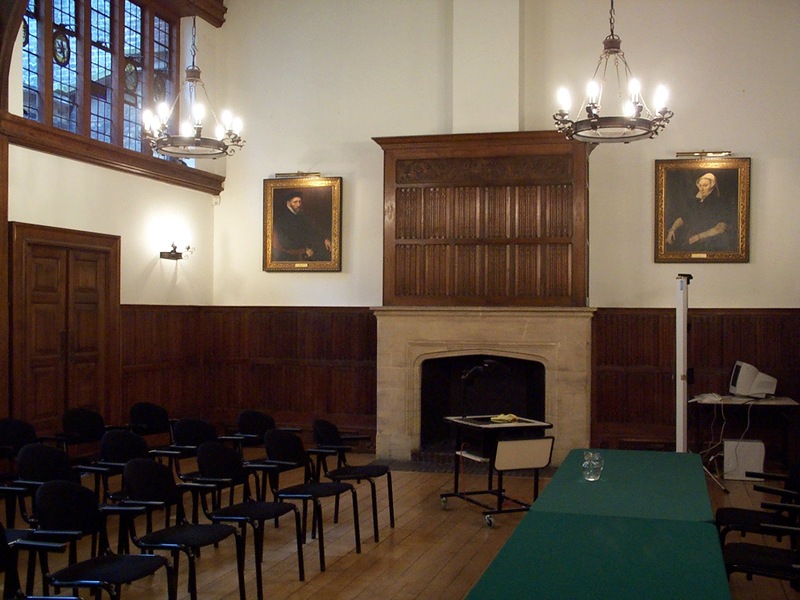 For over 400 years Gresham College has presented free public lectures in the City of London. 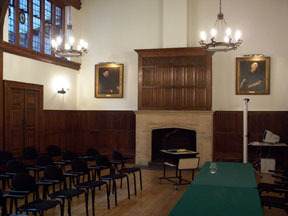 Gresham College is based in Barnard's Inn in Central London, very near to Chancery Lane Tube Station.The Royal Society was founded in Gresham College. More details about the College and its history can be found at Gresham College's own web site. In the sixteenth century, the first Gresham Professor of Geometry, Henry Briggs, made logarithms easier to use (developing what we now call common logarithms, sometimes called Briggsian logarithms). Today we are surrounded by computers that should take much of the effort out of work, yet they no longer seem to be making things easier! Almost everything is difficult to use, whether it is a digital alarm clock or an office word processor. The starting point of Harold Thimbleby's lectures at Gresham College will be understanding the real potential of computers, and how we succumb to unnecessary complexity. The lectures are free and open to the public. Some gadgets seem pretty simple, like microwave cookers, and some are more complex, like mobile phones and desktop computers. The Geometry lectures this session will look at familiar, everyday gadgets and discuss the underlying theories of how they are designed, or might have been designed. We'll find, pretty consistently, that we live in a world of arbitrary and badly designed gadgets, which could very often be improved with a little thought. Harold Thimbleby is the 28th Gresham Professor of Geometry. General reading: The Computer Science of Everyday Things, The Frustrations of a Pushbutton World. Full citations of all references are available. Why were video recorders so difficult to use? Is there any hope for new gadgets like DVD players? What can we do about gadget complexity, and what can be learnt by approaching the design of gadgets mathematically? This first lecture of the series will show how video recorders, aircraft, the world wide web and user manuals are all interconnected. Children can use gadgets faster than adults can. What does this say about the design of gadgets? This lecture looks at microwave cookers. Instead of children to help us design better gadgets, we could use animal testing, perhaps monkeys pressing buttons all day. Rather than pay monkeys, it's cheaper to use Markov models, which are roughly their mathematical equivalent. The lecture will show how this automatic 'animal testing' of gadgets gets useful design insights. Pressing buttons on a mobile phone chooses various functions, as if the phone's functions are controlled by a code. Mobile phones are conceptually difficult to use almost entirely because their code is difficult to use. We can design a new code systematically, and using Huffman codes, we can find one that is much faster and simpler than the manufacturer’s original code. Calculators have been around for centuries, and they were one of the first handheld computerised gadgets. They are now to be found inside mobile phones, on desktop computers, and even in wristwatches. This lecture demonstrates, with audience participation, that current calculators have severe problems. The lecture reviews the straight-forward mathematics behind calculation and calculators, and hence provides a solution to the surprising range of problems identified. This talk is suitable for ages 16 up, and will also be of interest to professionals: teachers, computer scientists, mathematicians, and even manufacturers. Please come with your own calculator. The previous lectures looked at the inside of gadgets, but this is less than half the story. When we use complex systems we often fall into traps; we acquire beliefs about what is achievable and then act on those beliefs. Most often we don't even know we have these beliefs, and we are then at the mercy of the system's design. Similarly, whatever our beliefs about what we should do, we may act otherwise; for example, walking away from a ticket machine taking the tickets we wanted but leaving behind the change. This lecture will consider the mathematical properties of interaction traps and similar "user errors" and the use of mathematical reasoning in developing human-oriented design solutions. Inside every complex gadget is a programming language. How are programming languages designed, and how should they be designed? What are the common design problems? This pair of lectures will look at a range of programming languages: the language of Lego, the extraordinarily popular general purpose language Java, and the specialised mathematics programming language Mathematica. Symmetric things are often more attractive. Symmetry is also a geometric idea: things may have reflection symmetry or rotational symmetry, and so on. What better way to end this series of Geometry Lectures on design by showing how the design of interactive devices, like mobile phones, relates back to symmetry? Symmetry makes a versatile link between human perception and what interactive devices should be designed to do; it makes a constructive link between what is attractive and natural and what is easy to use.